CBD Oil Review rates the Tasty Hemp Oil line with three stars because it qualifies for the Charity, Mission & Quality Badges. Tasty Hemp Oil is one of the leading brands focused on producing high-quality products that actually taste good. Their “tastier” CBD edibles, CBD tinctures, and CBD oils are aimed at those who are seeking awesome hemp products but can’t stand that “hempy” taste. 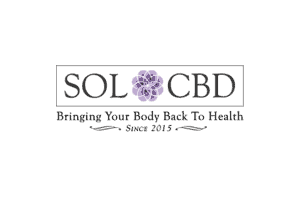 With products containing very simple, high-quality, and often organic ingredients, Tasty Hemp Oil is a wonderful destination for both CBD novices and those who desire more palatable hemp CBD options. Let’s face the facts: Some people just can’t stand how hemp oil tastes. If you’re one of those people who just can’t hang with that earthy, weedy, strangely nutty tang, Tasty Hemp may be the CBD brand for you. 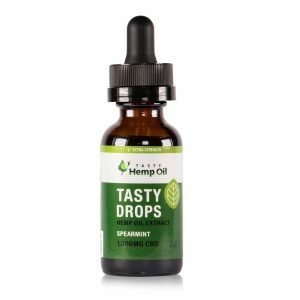 Tasty Hemp Oil is a small company based in Michigan that prides themselves on producing delicious, naturally-flavored CBD oil products without sacrificing quality. In fact, they have their own GMP-certified manufacturing laboratory where they concoct all their delicious creations. Their CBD is sourced from industrial hemp grown in Colorado and Kentucky that is then CO2 extracted. Huge quality points here. 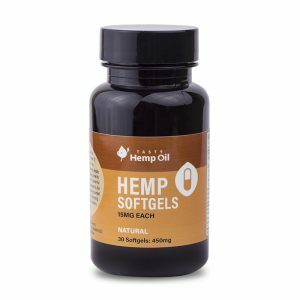 Tasty Hemp Oil’s offerings are deceptively simple; where they add their variety is their flavor options – most products are available in multiple flavors to suit any palate, especially people new to hemp and CBD who may not be able to get past the very distinctive flavor of most products. Products include CBD energy chews, chocolate candies, pet tinctures, lozenges, lip balms, raw drops, and softgels – all range in price from $3 (lip balm) to $99 (for their high potency full spectrum oil tincture) – and many include adaptogenic herbal terpenes and other organic synergistic ingredients. Our concerns seem relatively minor, given how popular this brand is and how dedicated they appear to be to their mission – and their GMP manufacturing facility. Tasty Hemp Oil has cannabinoid profiles conducted by independent labs posted for each SKU, a great step in the right direction. However, to qualify for the Safety Badge we need to see contaminants results either for each SKU or for each batch of CBD oil used in the products. 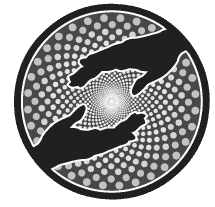 Bottom Line – Tasty Hemp Oil has delicious, cleanly sourced CBD goodies and a charitable team of spirited cannabis enthusiasts. They earn high marks with us and are downright likable. Tasty Hemp Oil regularly donates supplies to D.A. Blodgett-St. John’s Homes and Hope for Children and is actively involved in local charities. 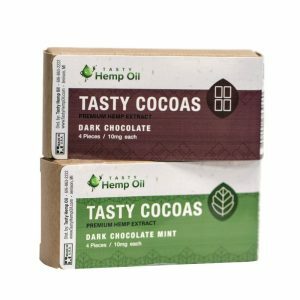 Tasty Hemp Oil uses industrial hemp grown in Colorado and Kentucky processed via clean CO2 extraction and manufactures their CBD products in their own GMP facility. 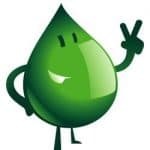 Tasty Hemp Oil’s primary goal is to both provide delicious, high-quality hemp cannabinoid products and to educate the public about the benefits of CBD oil.